About For Love of Children (FLOC) – Teach. Empower. Transform. 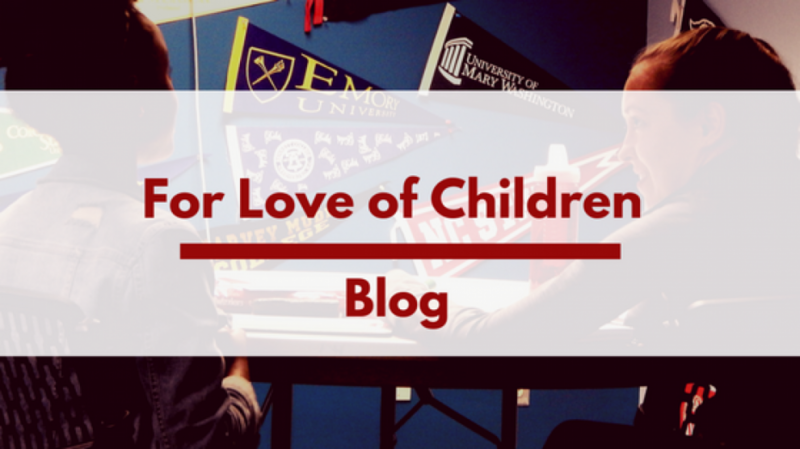 For Love of Children provides educational services beyond the classroom to help students succeed from first grade through college and career. We bring together students, volunteers, families, and community partners in proven programs that teach, empower, and transform. Wanted to introduce myself and also drop you a line this afternoon to share interesting research by Washington, D.C. local parent coach, Meghan Leahy. Surveying more than 500 parents across the country (but with a high concentration in the DC area), Meghan learned whining trumps all other frustrating kid behaviors for parents. The survey also showed more than half of parents turn to the internet for support and ideas when facing challenging situations with their darling sons and daughters. The details on the research findings follow in the press release below and the full study (including practical, valuable tips to help parents right away) can be found here: http://www.positivelyparenting.com/services/research/. Please feel free to share this research with your networks! Meghan would be happy to chat with you if you’d like to provide additional details on the research, her perspective, and resources for parents in the DC area. In addition to being smart, funny, and totally relatable, Meghan is truly amazing at helping parents through tough situations. Please let me know if you’d like to schedule a time to chat with Meghan. You can reach me at (301) 541-7542 or Meghan directly at (202) 431-0626. Washington, DC, May 8, 2012 – Whining by children is a top behavioral issue for 63 percent of American parents, according to “Today’s Parenting Challenges and Resources,” a recent study by Meghan Leahy, a Washington, DC area Certified Parent Coach. When it comes to relationship struggles, children are increasingly testing their parents in the form of ignoring requests and talking back. Challenges also persist with other interpersonal relationships, with 30 percent of parents indicating that their children display more difficulty resolving disagreements or fights with their siblings than with their friends. The national survey of 536 qualified respondents – parents with at least one child between the ages of 2 and 10 – reveals that parents across the country face similar and complicated challenges with their little ones. Not only are parents experiencing similar difficulties, but also they seek help in the similar ways and from the same resources. When internet resources cannot meet their needs, parents are turning to their friends and family. Nearly two-thirds of parents reach out to those with which they have personal relationships before turning to professionals. Approximately 50 percent of the respondents note that frustration over a recurrent or persistent undesired behavior drives them to reach out for professional support. Citing confidence in their abilities to handle challenges on their own, 28 percent of parents have never sought out or utilized interactive resources. Meghan notes that “parents’ natural and regular responses to challenging situations leave many exasperated, fatigued, and in the same place they started.” In this study, Meghan responds – offering practical resources and pragmatic tips. “Today’s Parenting Challenges and Resources” is based on an online survey of 536 American parents with at least one child between the ages of two and 10 in their home. To learn more and download the full study results, please visit http://www.positivelyparenting.com. Meghan Leahy supports parents in the Washington, D.C. area and all over the country via one-on-one parent coaching, small group teleconferences, public speaking, and her column on Discovery.com. She also teaches parent education classes for The Parent Encouragement Program (PEP), Inc., a non-profit educational organization for parents, teachers and others who want to deal constructively with children and teens. For more information on Meghan and her services, visit http://www.positivelyparenting.com.